With tourism booming significantly in Việt Nam, the year 2018 is predicted to continue be be the year of resort real estate. However, familiar resort projects are being replaced with new products based on new trends and are responding quickly to the needs of the market. Marina Square, a project invested in by BIM Group, promises to attract investors who are pioneers of the new trendy resort property market — commercial streethouses combined with boutique hotels. 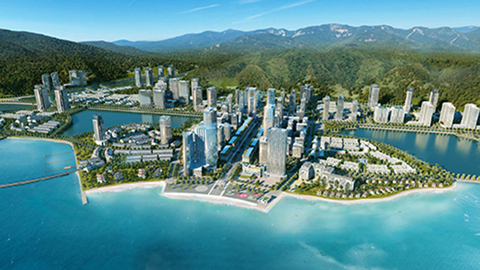 A panoramic view of Halong Marina urban area invested by BIM Group. In 2018, the resort real estate market is expected to continue to be vibrant. However, instead of focusing on saturated localities such as Đà Nẵng or Nha Trang, the real estate market is changing its geography, as well as product structure, dramatically. According to a recent report by Savills Việt Nam, investment in the resort real estate sector in the northern provinces, such as Quảng Ninh, is becoming increasingly vibrant as the transport infrastructure improves dramatically. Besides the geographical shift, the real estate segment also noted the shift in product structure. Catching up with the new trend of this holiday tourism, the wave of investment in boutique hotels has begun to spread in the recent years. A small-scale hotel with warm space, distinctive design and interior design, themed and individually styled, easy to develop personalised service, the boutique hotels perfectly meet the criteria of fashion experience at reasonable prices. However, in the key tourist areas with outstanding growth speed such as Quảng Ninh, this type of hotel has not been exploited much. 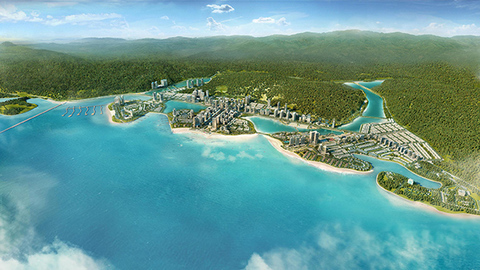 The Halong Marina Peninsula 2 is planned by BIM Group to become the leading tourist centre in Quảng Ninh Province. Being well-known as a successful investor thanks to its correct alignment and accurate calculation of the market, BIM Group is one of the pioneers in developing this segment. Lê Minh Dũng, deputy general director of BIM Group, as well as CEO of property business, said, "The success of Phu Quoc Waterfront has shown the effect of the boutique hotels model, with the number of registered visitors exceeding 300 per cent of the product. Many investors have the vision to look for, select and choose boutique hotels after considering their location and the lucrative profitability of their commercial functions, such as business, travel services, restaurant and hotels. Focusing on the key market in Quảng Ninh Province, where the space for developing resort projects is still quite large, catching up with the new resort trend, Marine Square invested by BIM Group is predicted to be "the second Phu Quoc Waterfront" in the hotel business investment sector. 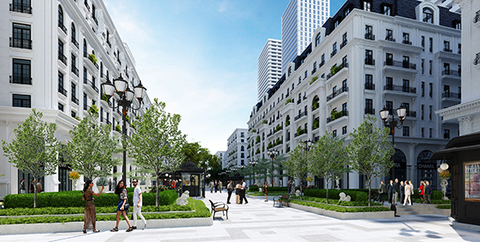 The Marina Square project owns the most beautiful location in the urban area. Marina Square is located at the centre of Peninsula 2 in the urban community of Halong Marina, which owns the most beautiful location in the metropolitan area. The project consists of 88 smartly designed apartments, combining the unique models of boutique hotels and shophouses, which meet the purpose of investment, relaxation and business combination to provide sustainable profitability. Besides the favourable location and profitability, the project also inherits the benefits and modern facilities of the Halong Marina complex. Compared to other projects in the same segment, Marina Square has the advantage of being located at the centre of a valuable resort real estate complex, benefiting from the convenience of the whole project, such as a shopping centre, restaurant system, bar and entertainment area, helping tourists enjoy a high-quality holiday. Marina Square project in Halong Marina, invested by BIM Group, promises to be a perfect place, and a great choice for customers, as well as for real estate investors, in Quảng Ninh.